During last week's interview on WGN Radio one caller asked me why bicyclists sometimes ride in the middle of the lane, blocking passage by faster moving vehicles. 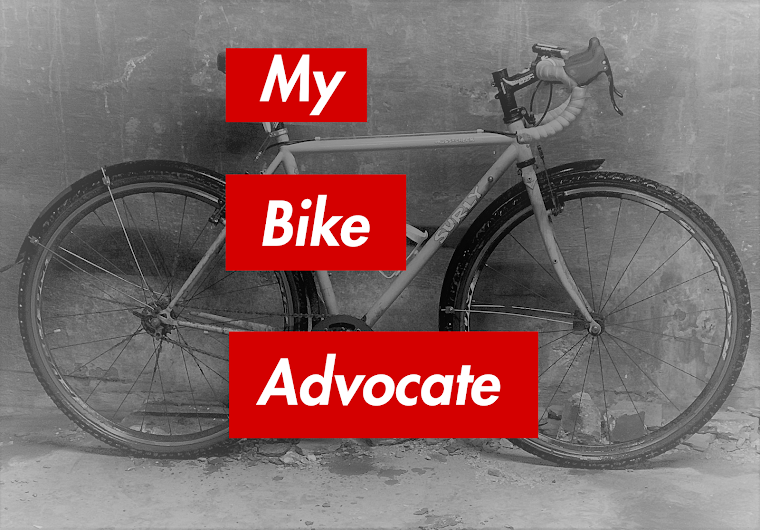 I explained that in order to make themselves more visible to drivers and discourage attempts to pass dangerously close, bicyclists can and should take the lane. The idea is to encourage motorists to change lanes if they wish to pass reducing the likelihood of a dangerous miscalculation. More and more states are passing laws which prohibit drivers from passing too closely to cyclists. In Illinois, drivers must give them at least three feet of space when passing. Thanks for sharing that Brendan! Can I ask for a minor (but important) change in terminology? "Take the lane" can be construed negatively. 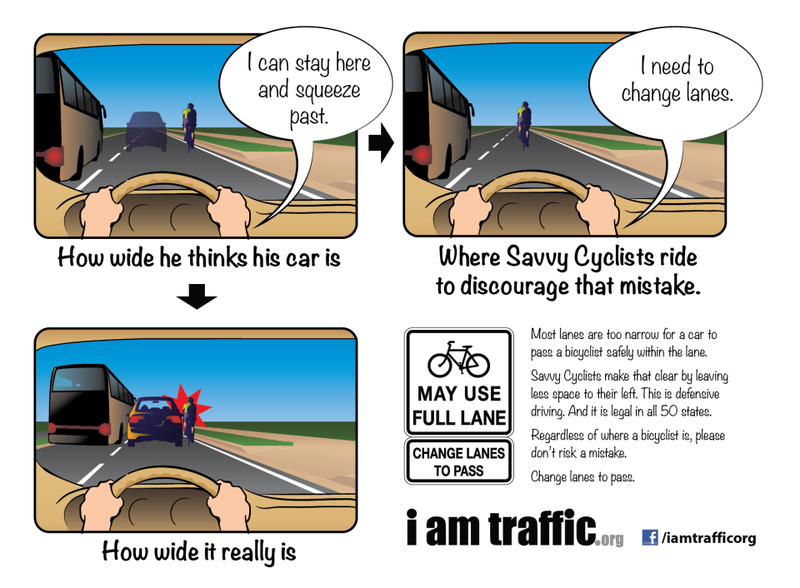 "Take" can imply that the lane is not yours to begin with. What we are doing is _controlling_ the lane. Auto drivers do this by default because of the size of their vehicles, but we cyclists have to deliberately control a lane in order to get the safe passing clearance we are due. Thanks for defending equality for cyclists! 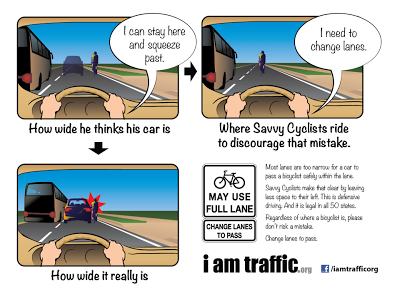 "... why [it] is so important for a cyclist to take the lane when riding on a road where the lane width is insufficient for sharing by bike and car together..."
I take the lane when a) there is another lane that cars can use to pass or b) a single lane road is not wide enough to allow a car to safely pass (roads without a bike lane next to the travel lane).